Hands on with the Cherry Mobile Flare S7! 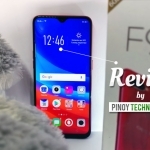 I was very eager to review the Cherry Mobile Flare S7. I checked the company’s store almost every day for its availability! Finally, I got my unit from the Cherry Mobile kiosk in SM City Cebu and it even came with a couple of freebies. 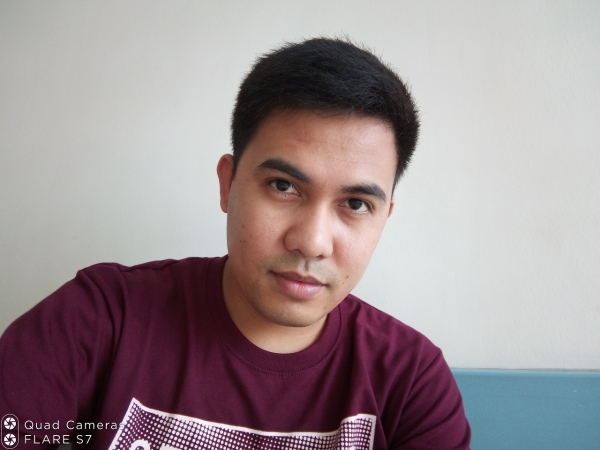 Here are my experiences in using the Cherry Mobile Flare S7 – both the good and the bad. This is the default wallpaper of the Cherry Mobile Flare S7. The Cherry Mobile Flare S7 tries to keep up with modern smartphone design trends and does a pretty good job. 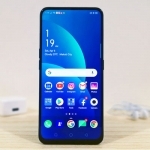 It has a glossy plastic body with chrome trims and slightly curved edges that emulates the glass sandwich design of more expensive smartphones. It also uses a screen with an 18:9 aspect ratio making it narrow and comfortable to use with one hand only. The Cherry Mobile Flare S7 is one of the best looking affordable smartphones released in 2018. 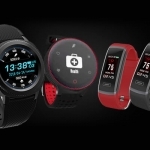 Its screen is bright enough for casual use but can be hardly legible under direct sunlight. Nevertheless, it’s responsive to touches and has decent colors as well as viewing angles. 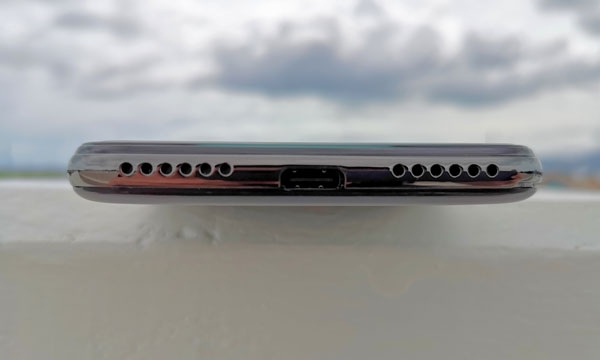 All the physical buttons are placed on the phone’s right side, its USB Type-C port is at the bottom and the 3.5mm audio jack is at the top. The Cherry Mobile Flare S7 has a quad camera setup composed of two cameras at the back and two cameras on the front. Both dual camera systems are 13 Megapixels and 2 Megapixels with an LED flash but only the rear cameras have autofocus. Picture quality is decent as long as there is good lighting. 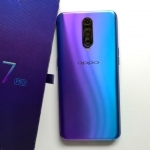 Don’t set your expectations too high though since this is a budget smartphone camera. Photos have grainy artifacts that are especially noticeable in low light photos. Cherry Mobile Flare S7 sample picture number 1. Cherry Mobile Flare S7 sample picture number 2. Taking photos during a bright sunny day easily results in good-looking pictures. Make sure that you’re not shooting against the light though. That will make photos appear hazy. 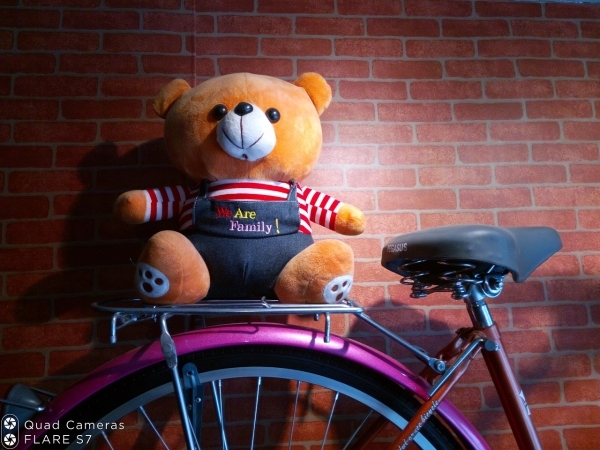 Cherry Mobile Flare S7 sample picture number 3. This one is my favorite sample shot from the Cherry Mobile Flare S7. 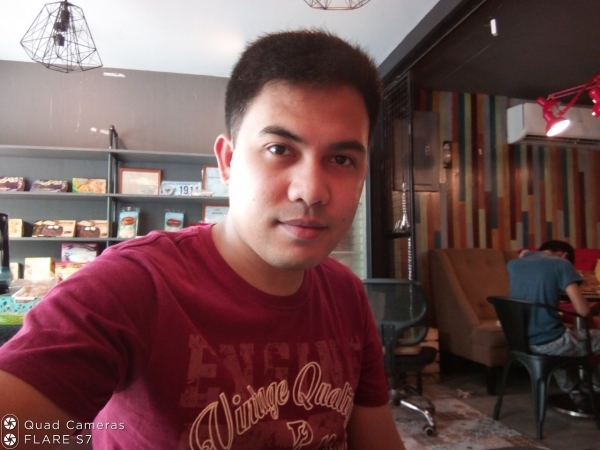 It was shot inside a cafe with uneven lighting but it still looks pretty good. However, artifacts are already noticeable when zooming in. Cherry Mobile Flare S7 sample picture number 4. Pictures of food and small objects like this one are also Instagram-worthy. 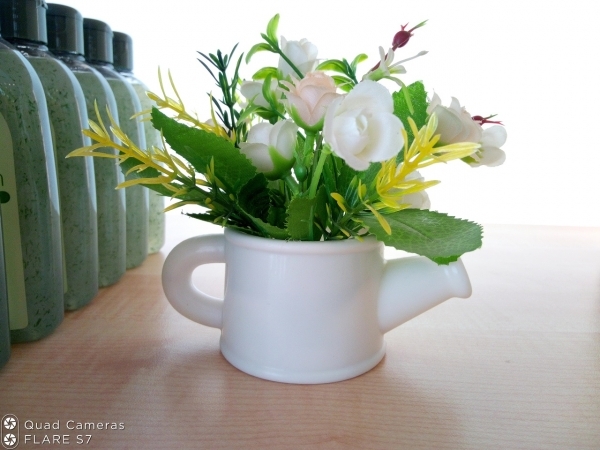 However, its dynamic range is a bit narrow and bright areas in the photos tend to be washed out. Cherry Mobile Flare S7 sample picture number 5. 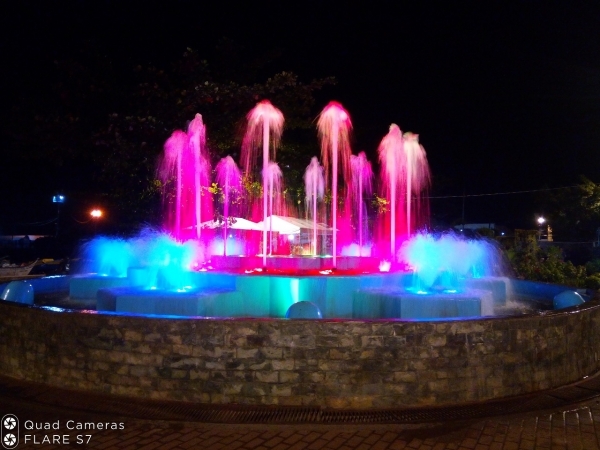 Ormoc’s water fountain is my favorite low light subject since it’s very colorful. I’m disappointed with the phone’s bokeh effect. 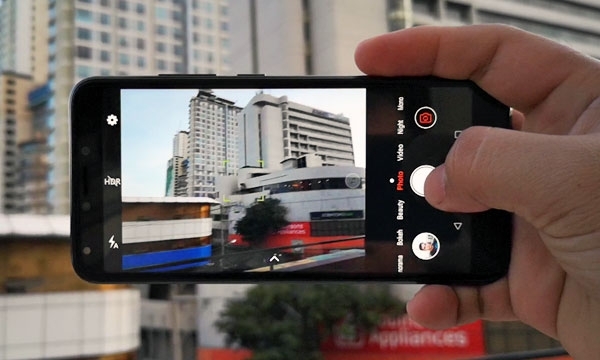 This is the only function of the secondary camera but it just looks awful. There’s no edge detection and the camera simply blurs the image while leaving the center in focus. If I cover the secondary camera, the software shows a warning so it’s probably being used in one way or another. However, the limitation is probably in the processor since the MediaTek MT6739WA doesn’t have native support for dual cameras. Regular selfies look good. Details are fairly sharp specially in well-lit scenes. The front LED flash makes night time selfies possible. However, the bokeh effect is also bad so let’s move on to video quality. The Cherry Mobile Flare S7 can shoot full HD videos using its rear camera and HD videos using the selfie camera. Now let’s talk about the phone’s camera software. There’s no problem in the design of the user interface, my only beef is in how loooong it takes the camera app to save a picture. After pressing ‘capture’, it displays a ‘Saving’ message for almost 4 seconds! That’s just unacceptable. My solution is to just use other camera apps from the Playstore such as Open Camera. 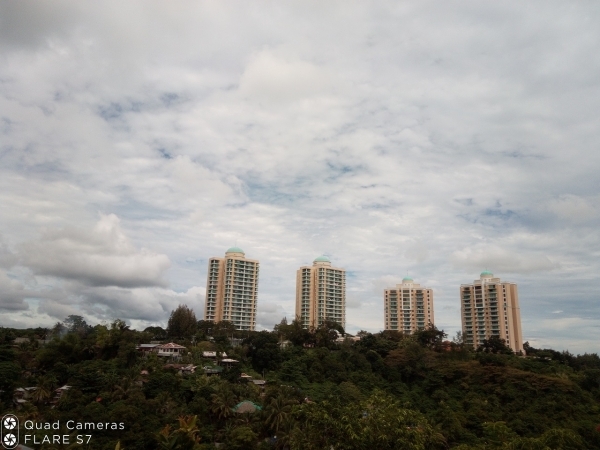 Better yet, download an older version of the Google Camera app for a better UI. It’s a good thing that the Cherry Mobile Flare S7 isn’t using the Cherry OS software. Instead, it comes with a near stock version of Android 8.1 Oreo. It’s clean and uncluttered. There are no silly lockscreens nor app limitations unlike its predecessor. I would have replaced its launcher with Nova Launcher but the default one is already enough. There are only a couple of third party pre-installed apps that I’m not familiar with – Chums live and Info Center. Other pre-installed apps are Facebook, Instagram, Cherry Fun and the usual Google apps. The Cherry Mobile Flare S7 uses a MediaTek MT6739WA chipset. This has a 1.3GHz quad core CPU and PowerVR GE8100 GPU. I also have the 3GB RAM variant of the device. I might have expected too much which is why I was disappointed when it performed poorly during my gaming tests. Mobile Legends and Asphalt 8 have acceptable performance in medium graphics quality but RULES of SURVIVAL still shows a lot of frame drops even in its lowest graphics setting. It does have an acceptable performance when I’m playing the Lite version of PUBG Mobile. Furthermore, its screen supports up to 5 multi-touch inputs. This means rapid taps and swipes are immediately detected which affects your gameplay. The Cherry Mobile Flare S7 might not be great in heavy gaming but it does a good job in everyday tasks. Transitions and animations in the user interface are smooth enough for the price. There are occasional lags but it can still be improved by changing the animation duration in the Settings. 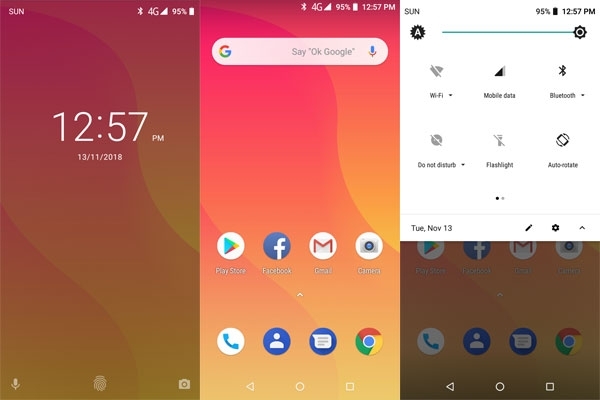 It takes a bit to open an app for the first time but once you’re already using an app such as Facebook, the phone’s performance becomes a breeze. Switching to another app doesn’t take too much effort too. This is surely the result of having an ample amount of RAM at 3GB. There’s 16GB of internal storage with around 11GB free upon unboxing. Installing heavy games and those benchmarking apps quickly ate up the storage but normal usage should not result in this issue. It can also accept microSD cards for up to 128GB of additional storage space. 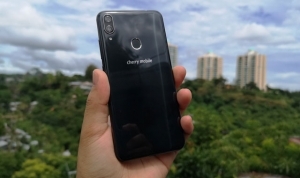 Another advantage of the Cherry Mobile Flare S7 is its 4G LTE connectivity. I’ve been using it with a Sun Cellular SIM card which uses Smart’s network. 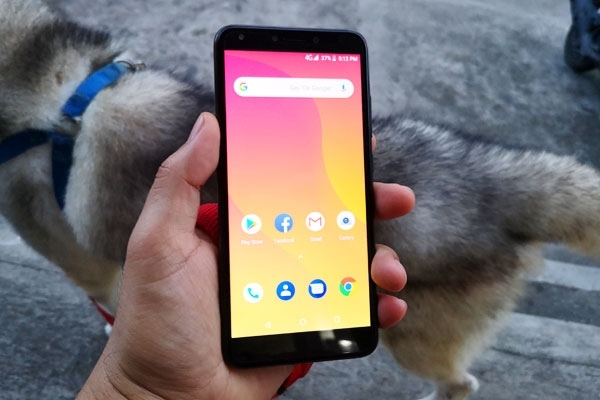 It constantly achieves mobile data download speeds of 6 to 9 Megabytes per second as measured by the app Speedtest by Ookla. This is impressive considering that I live in the provinces. 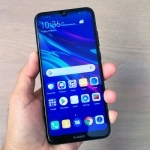 The device also features a USB Type-C port for wired connectivity. 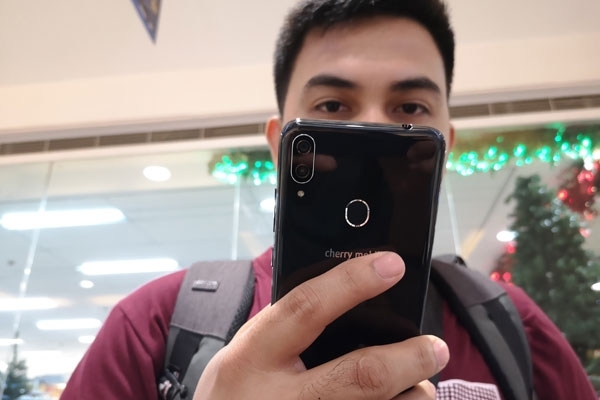 I’m once again amazed that Cherry Mobile manages to equip their budget devices with this technology while other brands can’t let go of the old microUSB port even in midrange devices. Just like other budget smartphones, the Cherry Mobile Flare S7 has an average sound quality. What makes it stand out among its competitors is its set of security features. 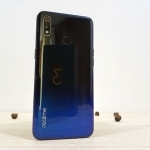 It has a fingerprint sensor at the back and face recognition that uses its front camera. The fingerprint sensor is reliable in unlocking the phone but feels a bit slow. It’s not actually the fingerprint sensor but the screen’s backlight that takes a long time to light up the screen. On the other hand, the face recognition feature is inherently less secure and a bit slower since it doesn’t have the same technology as iPhone’s FaceID. Nevertheless, it’s pretty accurate in identifying my face in good lighting situations. It does fail in low light but there’s an option to use the screen to light up your face so it can identify it it’s the user or not. A 2400mAh battery powers the two variants of the Cherry Mobile Flare S7. It can last an entire day (24 hours) if there’s a long idle time such as when sleeping or when it’s not being used while at work. Otherwise, it’s battery will only last around 13-14 hours with casual usage. Heavy usage such as gaming, especially while using mobile data for online games, cuts the phone’s battery life to 3-4 hours only. 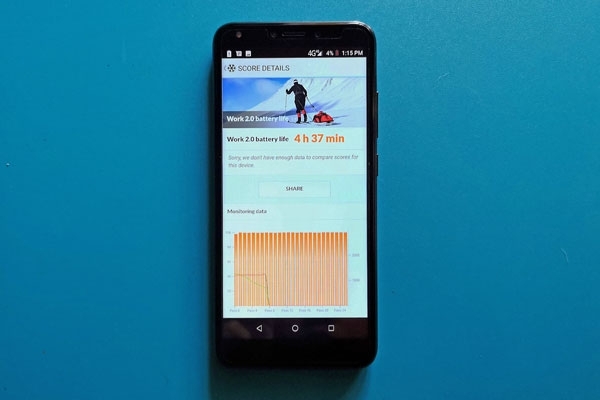 The Cherry Mobile Flare S7 scored 4 hours and 37 minutes in PCMark’s Battery Life Test. This app tests the phone by simulating real word usage and measuring how long the battery capacity drops to 20%. As usual, I performed the test with the screen brightness set to 50% and airplane mode turned on. Meanwhile, re-charging the battery from 0 to 100% takes around 2 hours and 35 minutes using the original charger. 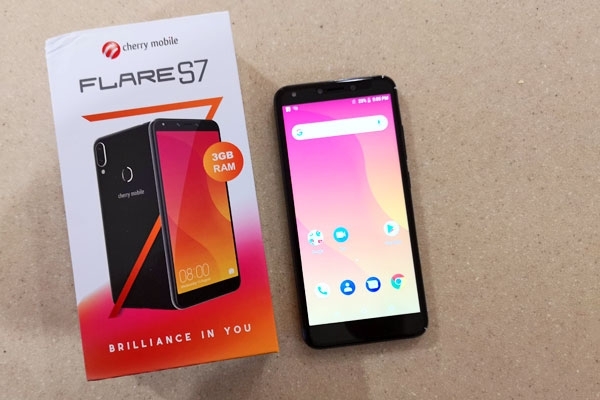 The Cherry Mobile Flare S7 and its box. Overall, it’s very easy to recommend the Cherry Mobile Flare S7 to people looking for a feature-packed smartphone that won’t break the bank. It has a modern design, decent cameras and acceptable performance. The quad camera feature is more of a marketing gimmick though and battery life is its primary weakness. Of course, this can be remedied by using a powerbank. The Cherry Mobile Flare S7 comes in two variants – the 2GB RAM version for ₱4,599.00 and 3GB RAM version for ₱4,999.00. 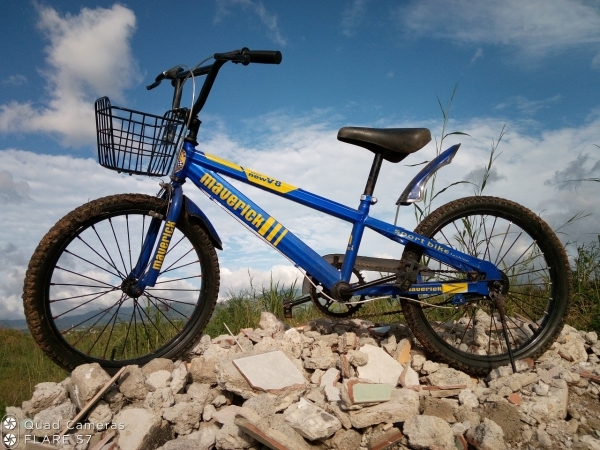 Average rating of 4.3 stars from 32 users.